Welcome to October’s DMs Guild roundup! 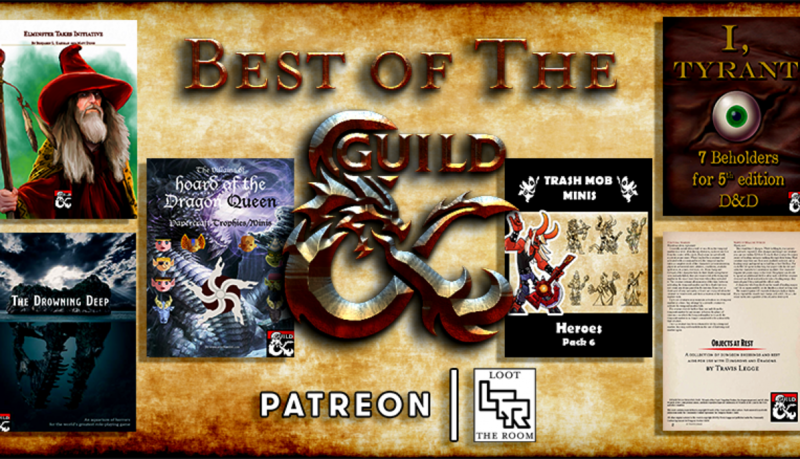 Every month I gather together some of the best new releases from the DMs Guild. You won’t find many bestsellers here (though some do slip through); the huge amount of new content appearing daily means that lots of great work slips through the cracks. It’s my aim to shed some light on those undiscovered gems, and to give you some fun new things to use in your games that you might not otherwise be aware of. This month I’ve found myself going back to the kinds of things that I always enjoy – namely, trinkets and paper miniatures. I’ve tried to make sure that I provide you with some variety, though; I even got a chance to review a couple of adventures this time around, which is a rarity. I’m also pleased to see that fewer quality products are being listed as PWYW titles. I firmly belive the people doing good work should be rewarded for that work, so it’s nice to see more and more community creators having the confidence to price their products appropriately. ** This product is discounted by 31% until October 31st. *** I support this creator on Patreon.